Lean Pathways helps progressive organizations implement the Lean Business System for breakthrough performance. 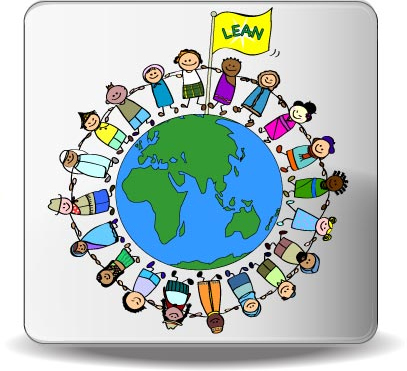 The Lean Business System, or simply "Lean", has been called the "world's most powerful management system". Lean has been developed over the past century by leading organizations including Toyota, Ford Motor Company, Alcoa, Danaher, United Technologies and others. Lean was initially deployed in manufacturing operations but has since been successfully applied upstream in areas like Design, Engineering and Marketing, and downstreamin Distribution, Sales and Customer Service. In past decadeLean thinking has developed deep roots in areas as diverse as health care, financial services, the process and service industries and education. Lean Pathways has developed a proven transformation model that roots Lean thinking in all areas of the organization. We have supported successful transformations in manufacturing, health care, construction, the process and service industries. We teach thinking first – not tools. Balance – between work & family, achievement & fun. We relentlessly seek perfection, the ideal. By applying Lean principles, we believe organizations can do more with less while giving customers what they want. Meaningful work that engages their knowledge, experience and creativity. Safe, healthy and secure work. Providing quick feedback on efforts to convert mudato value. Over the next decade we believe Lean thinking will develop even deeper roots across all industry including healthcare, design, information technology, finance, insurance, government and the military. Lean will proliferate outside of production and help to improve work upstream in sales, marketing, design, and engineering and downstream in transportation, retail and customer service. Where are you on the Lean journey? Find Out More ~ Call Us Today! 416-424-3056.